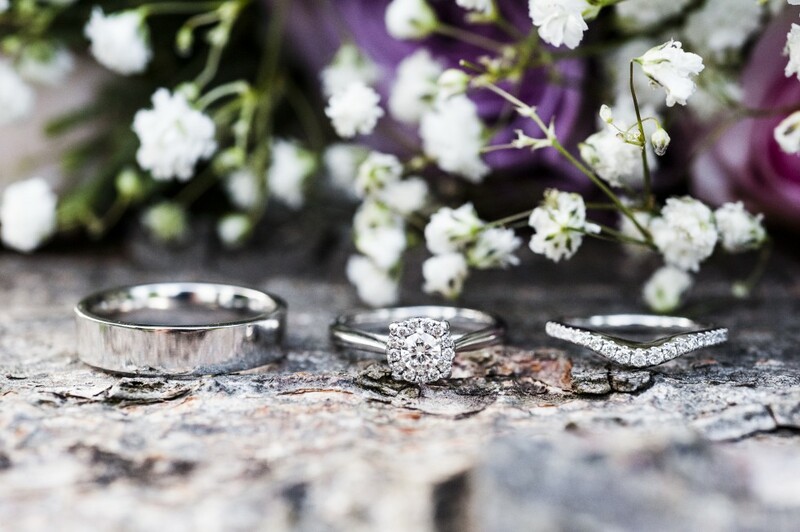 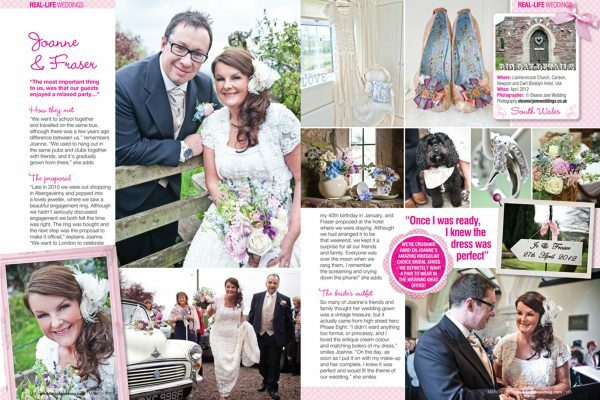 I love a spring wedding! 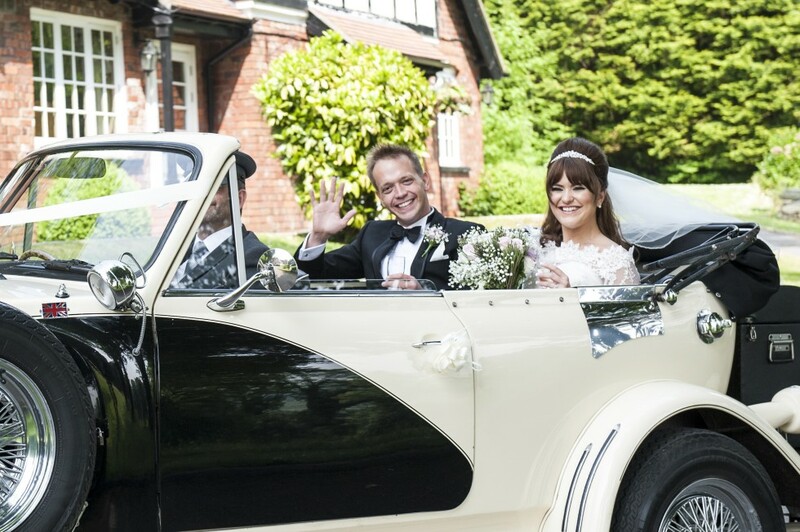 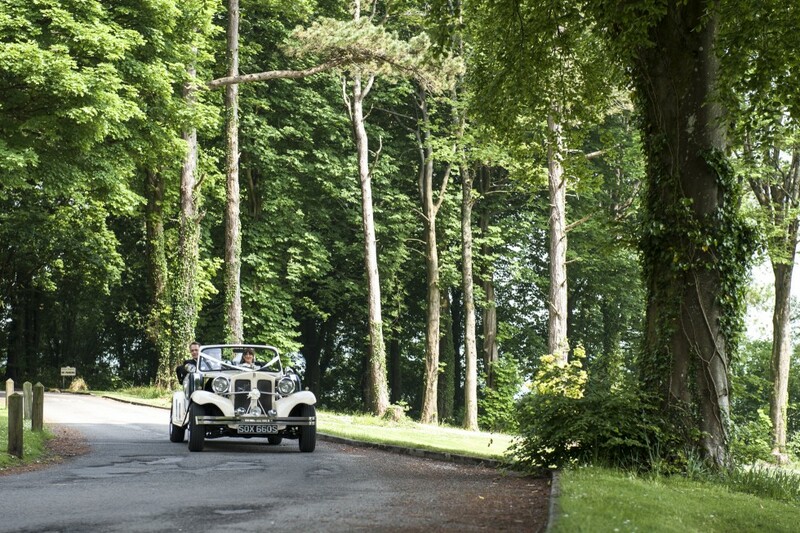 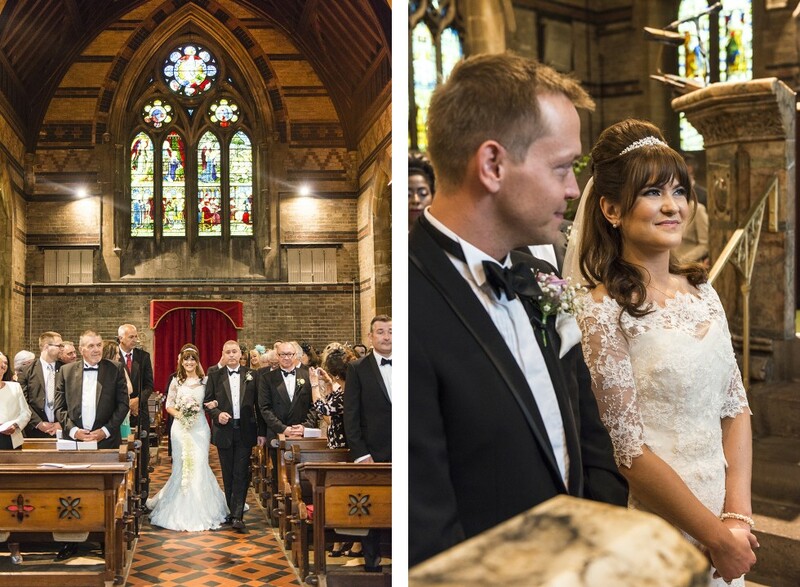 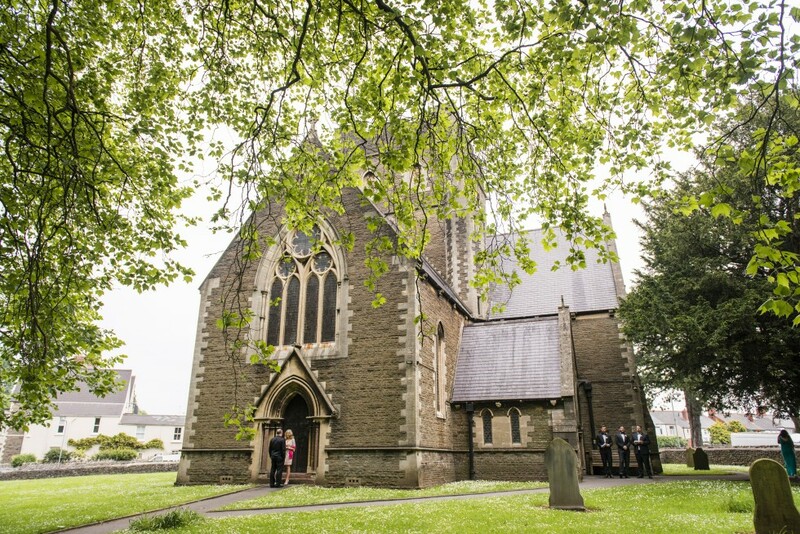 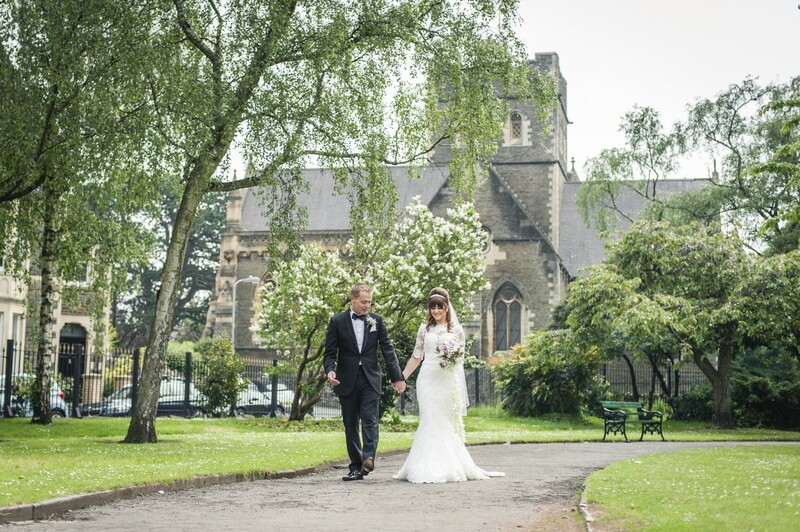 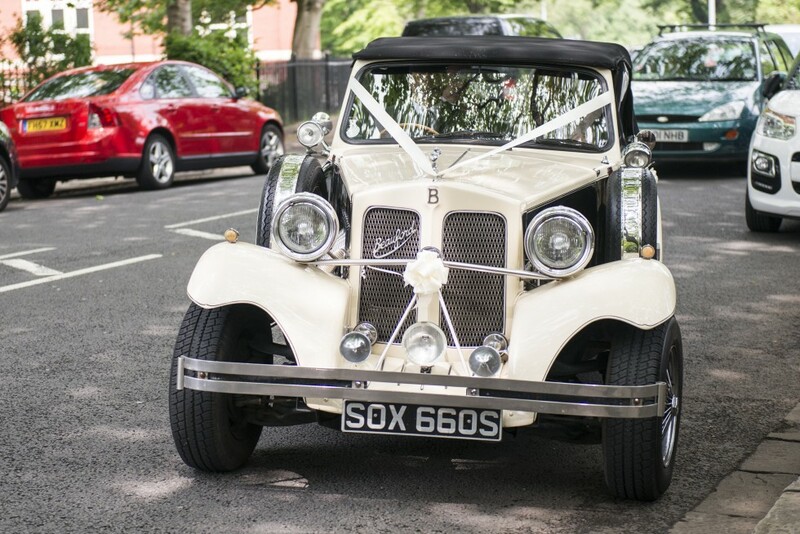 Vicky & Rob were married last spring at St Margarets Church in Roath, Cardiff, with the bride arriving in a vintage Beauford wedding car from Perfect Day, just a little late! 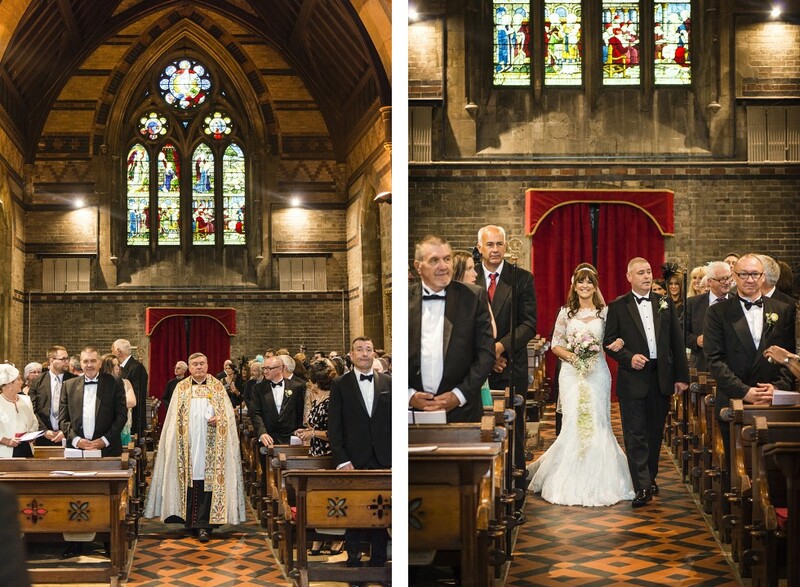 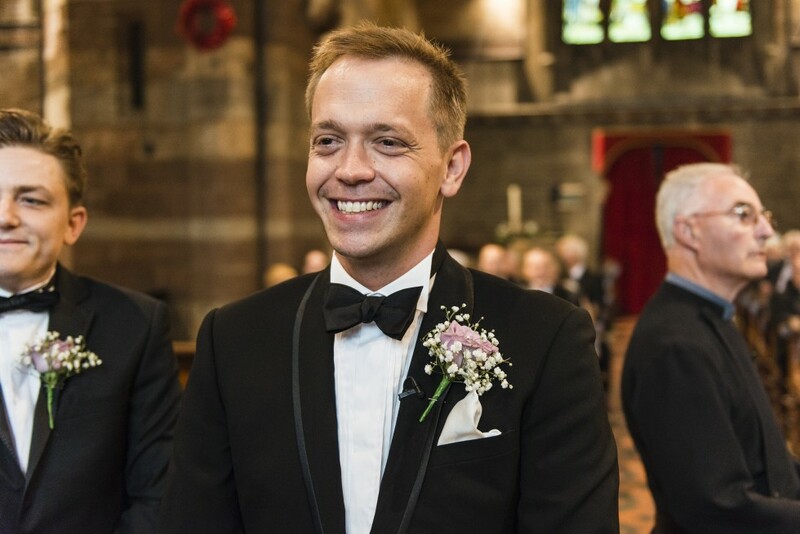 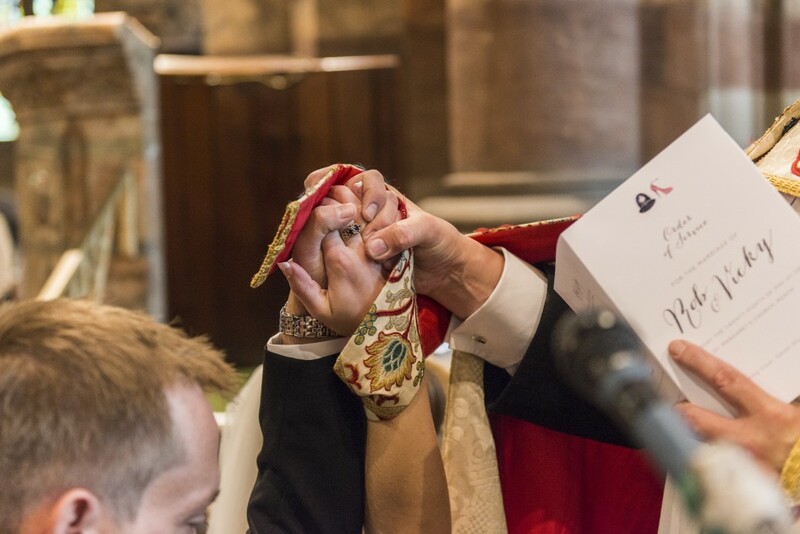 After a lovely ceremony (thanks vicar!) 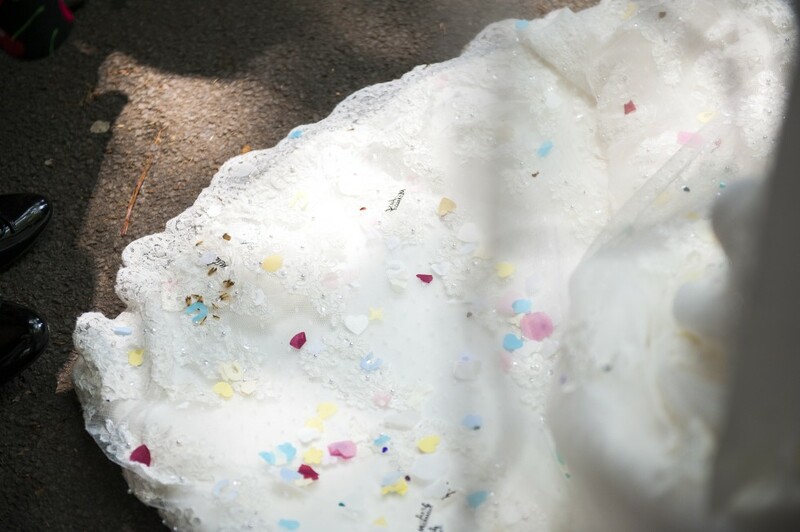 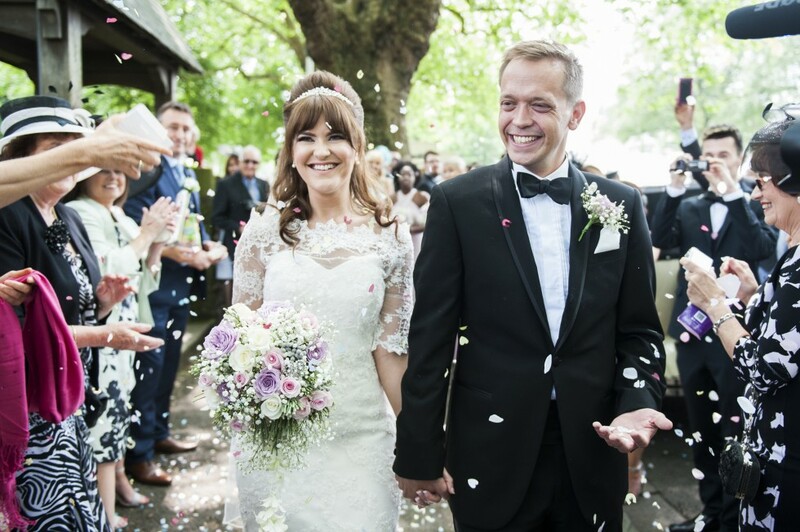 the whole bridal party strolled through a shower of confetti to the beautiful Waterloo Gardens next door where the blossoms *almost* held out for us! 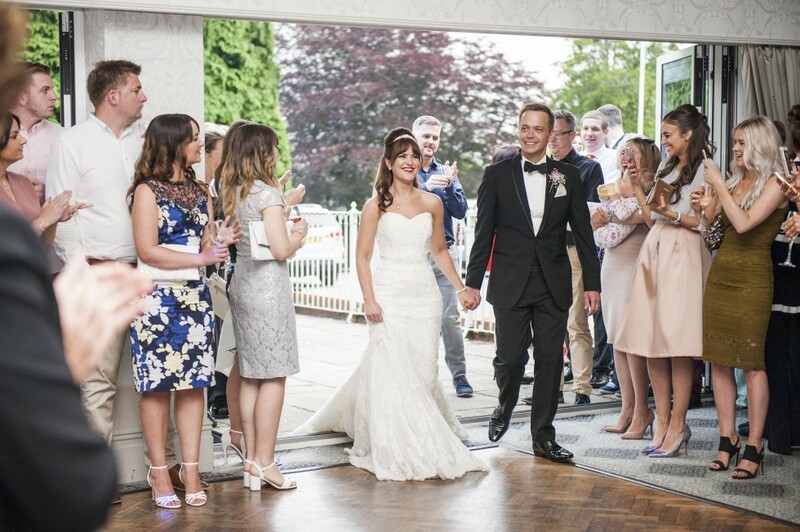 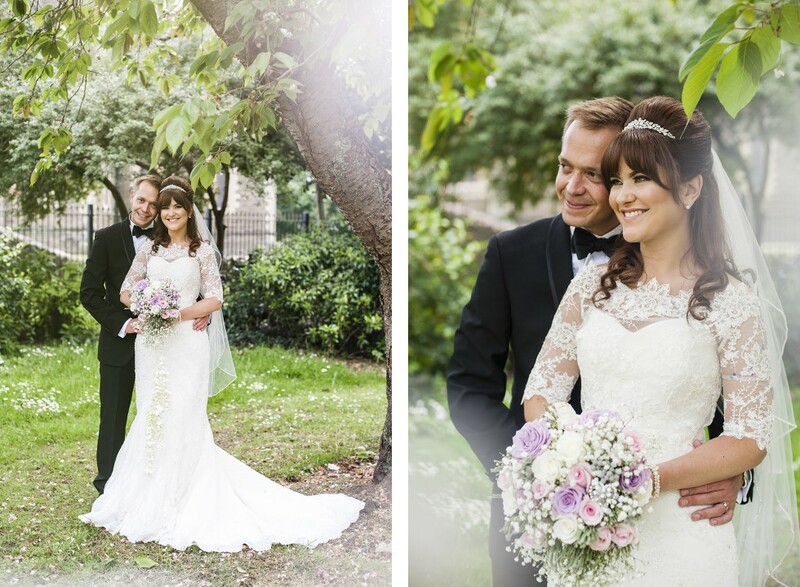 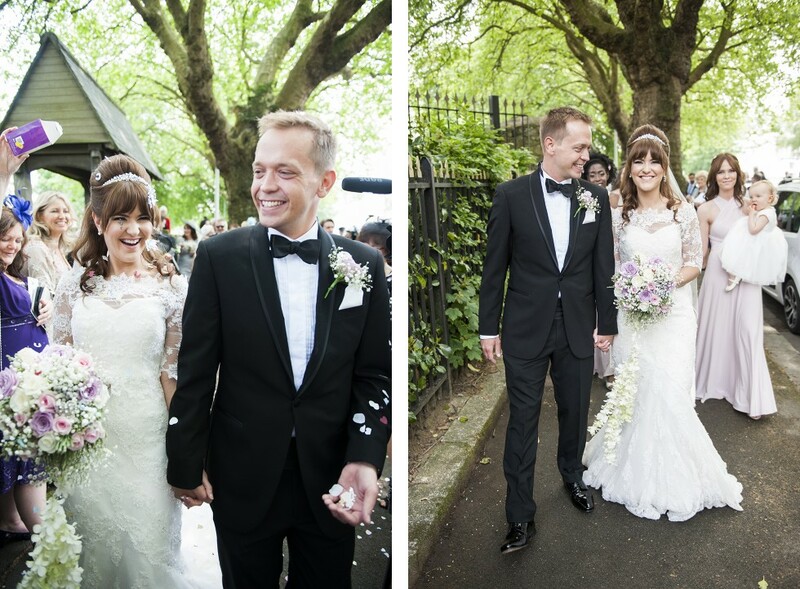 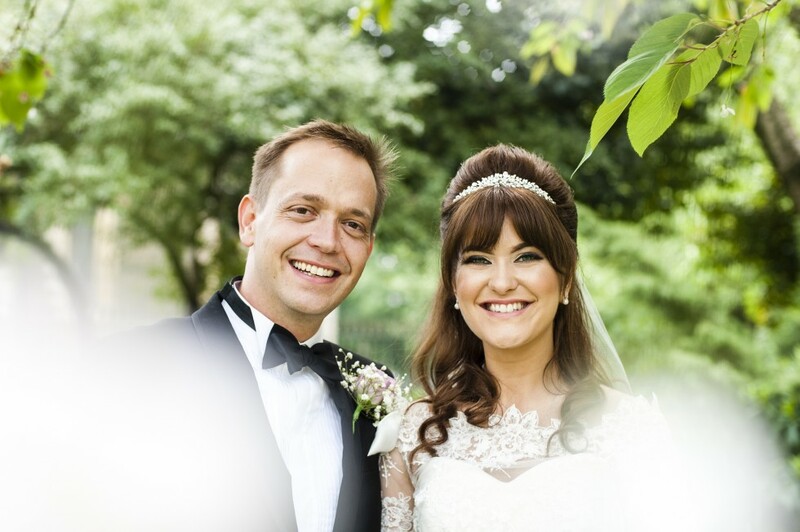 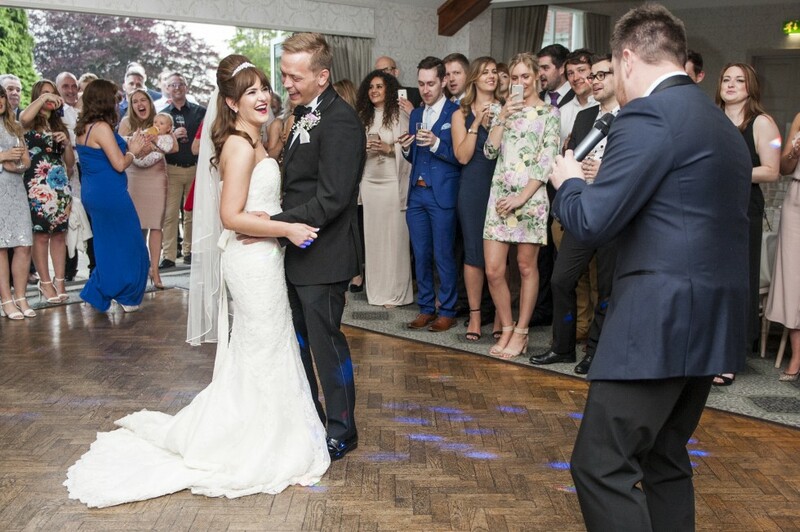 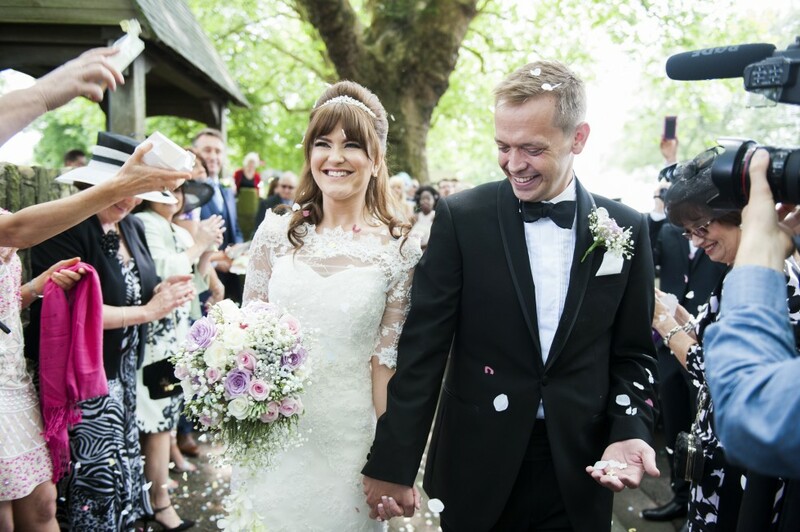 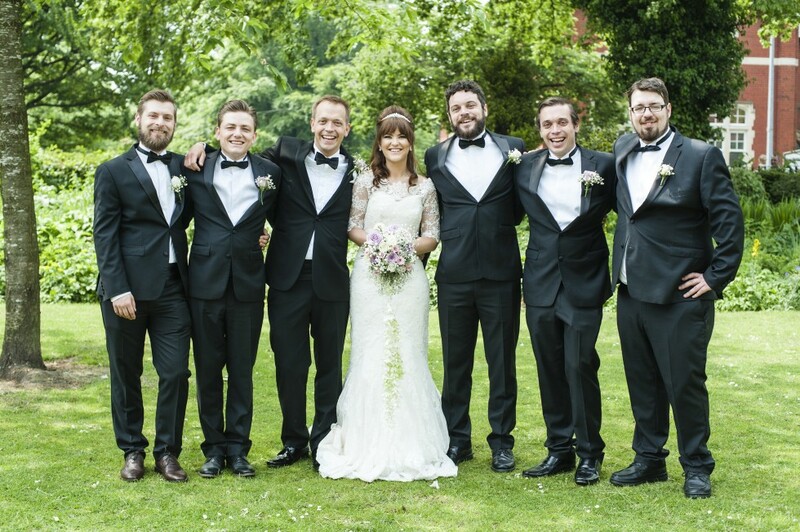 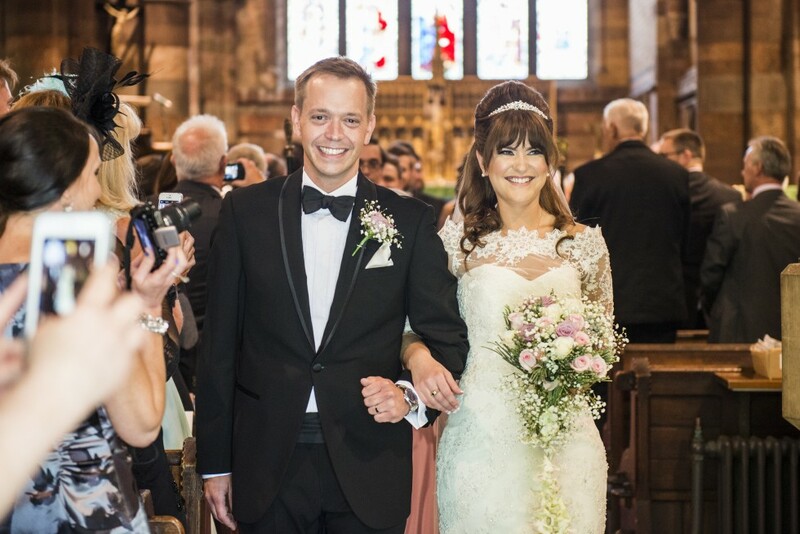 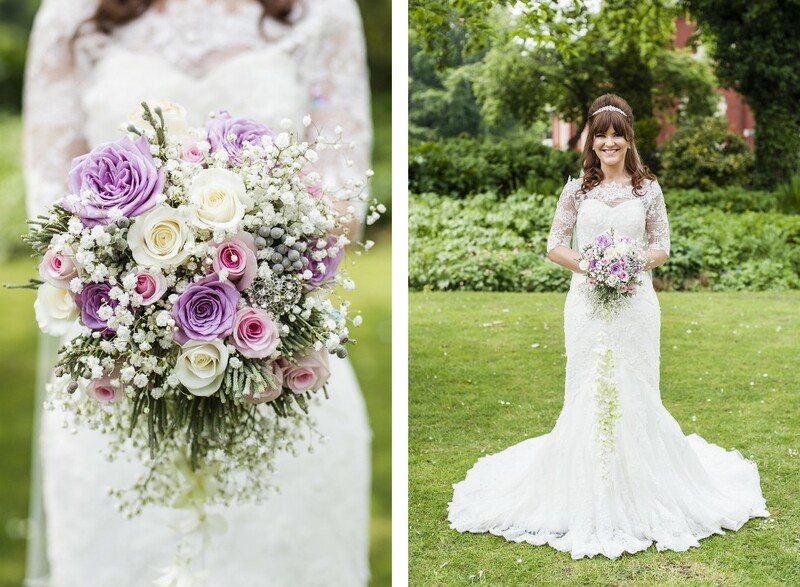 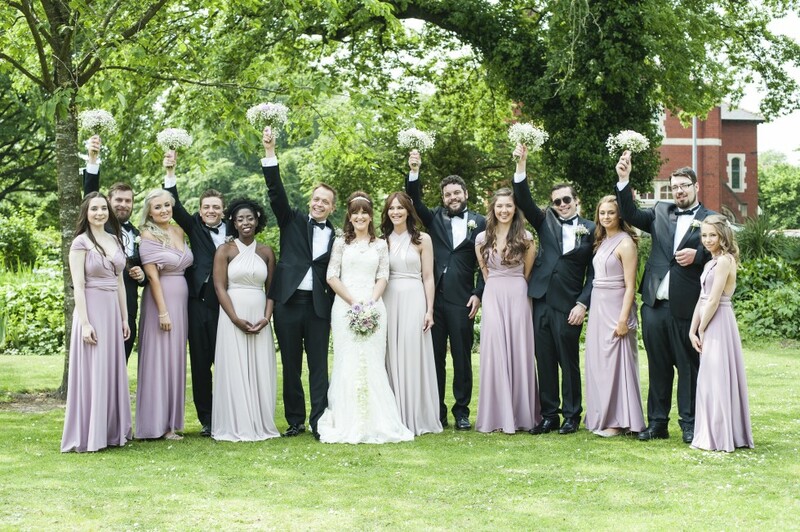 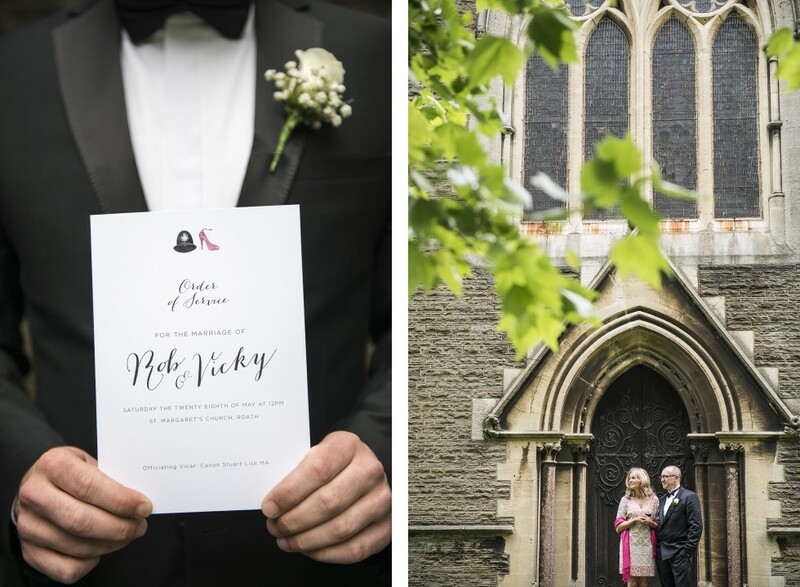 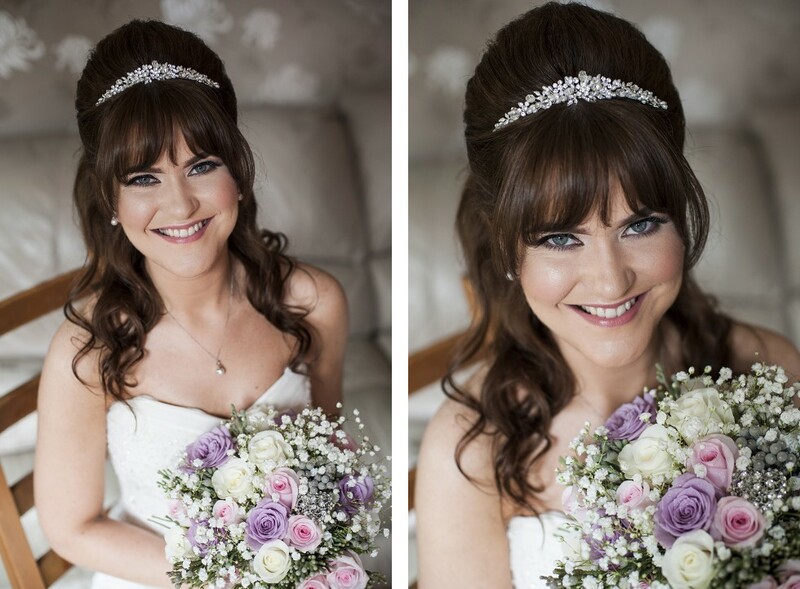 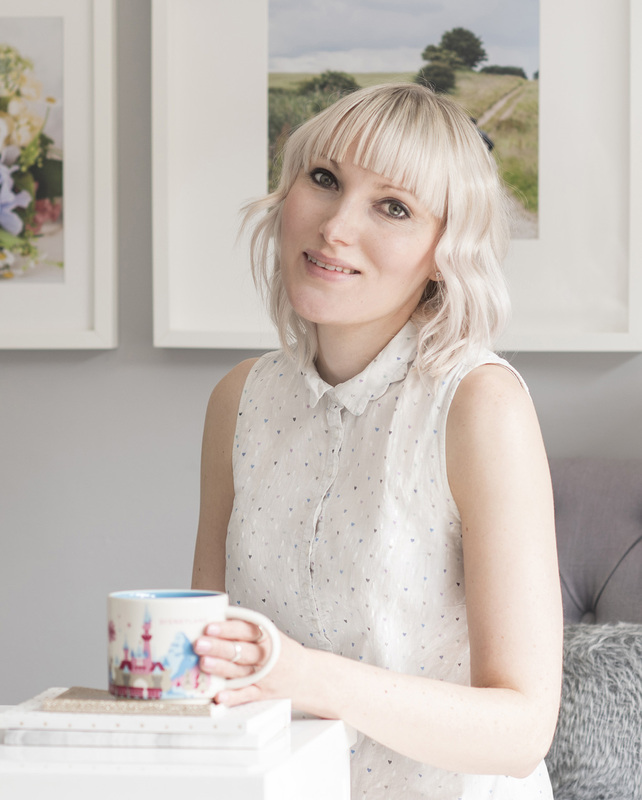 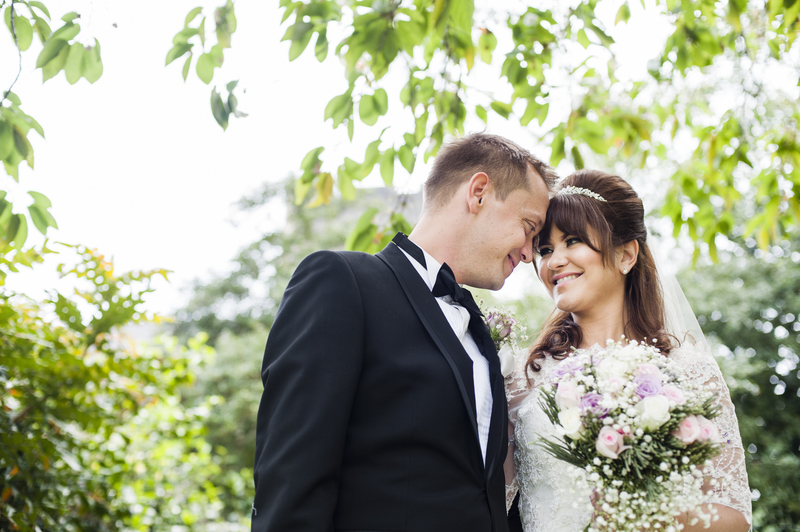 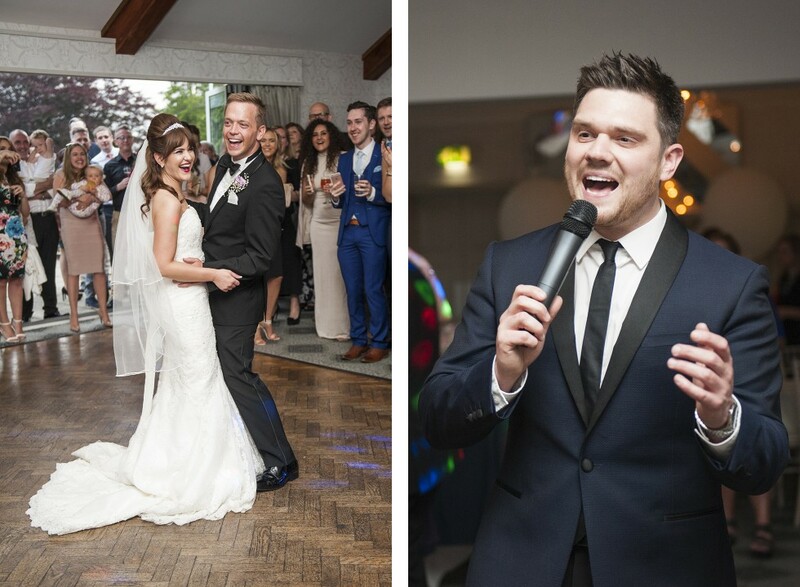 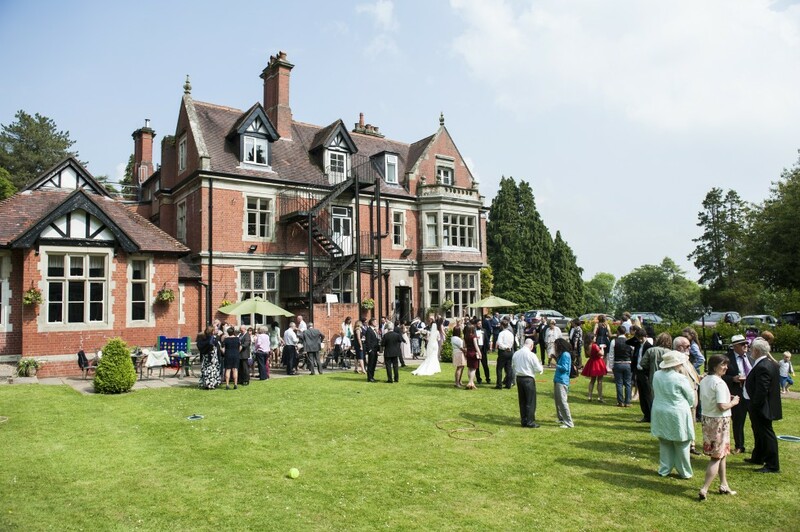 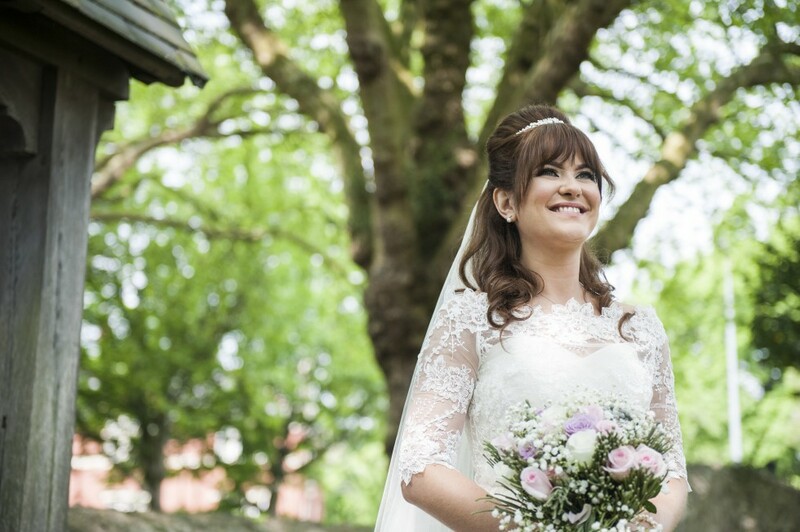 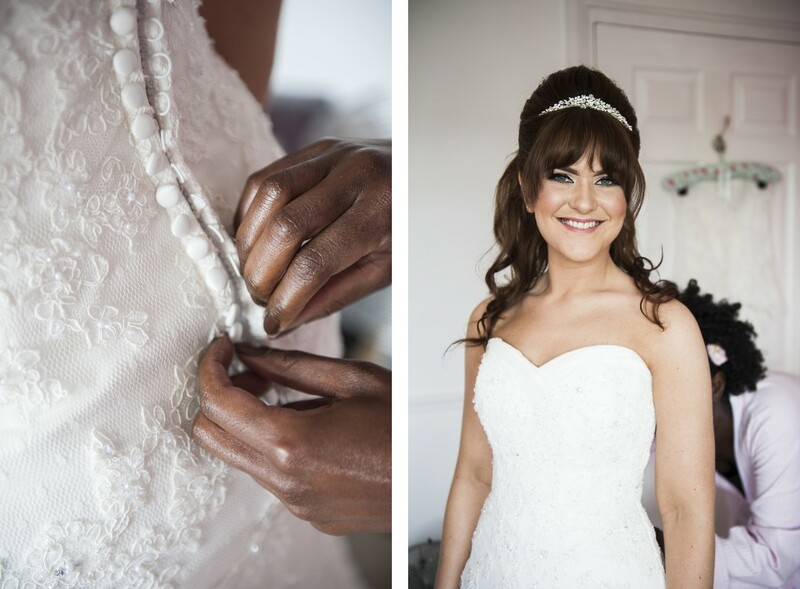 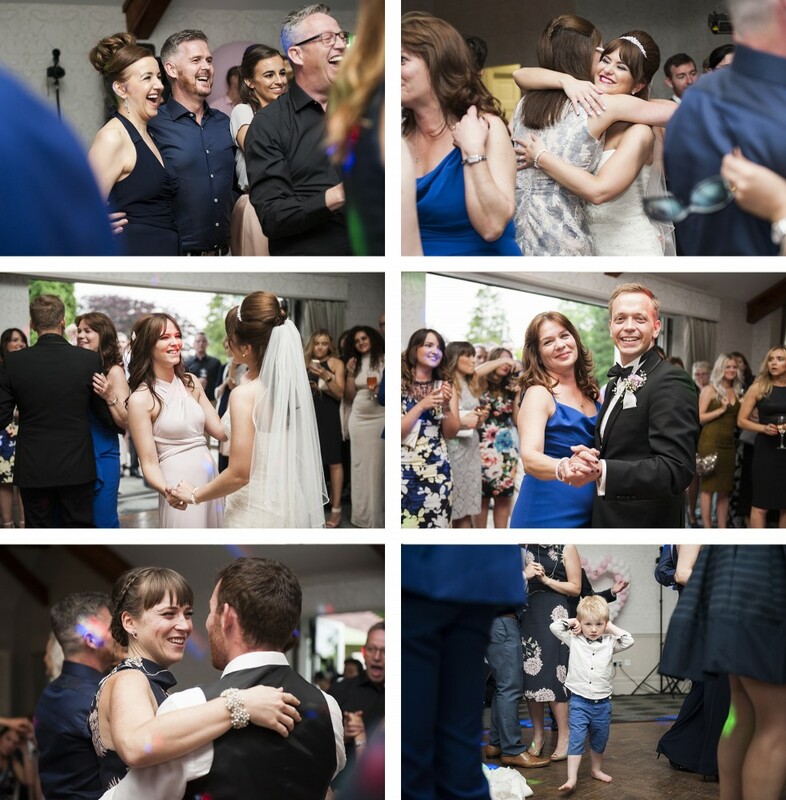 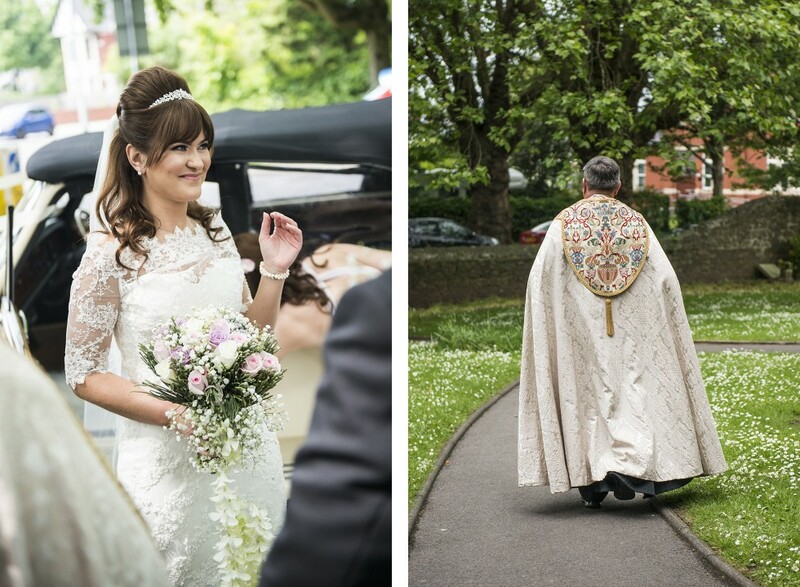 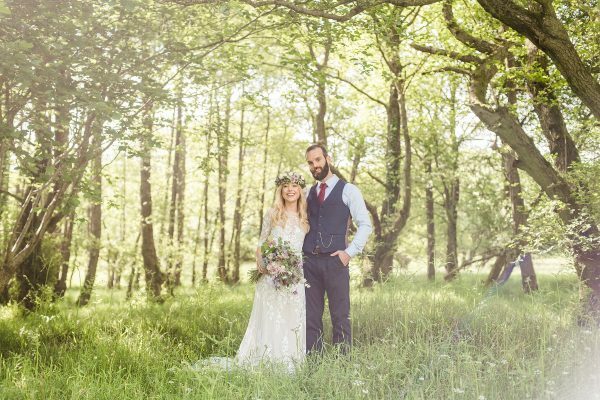 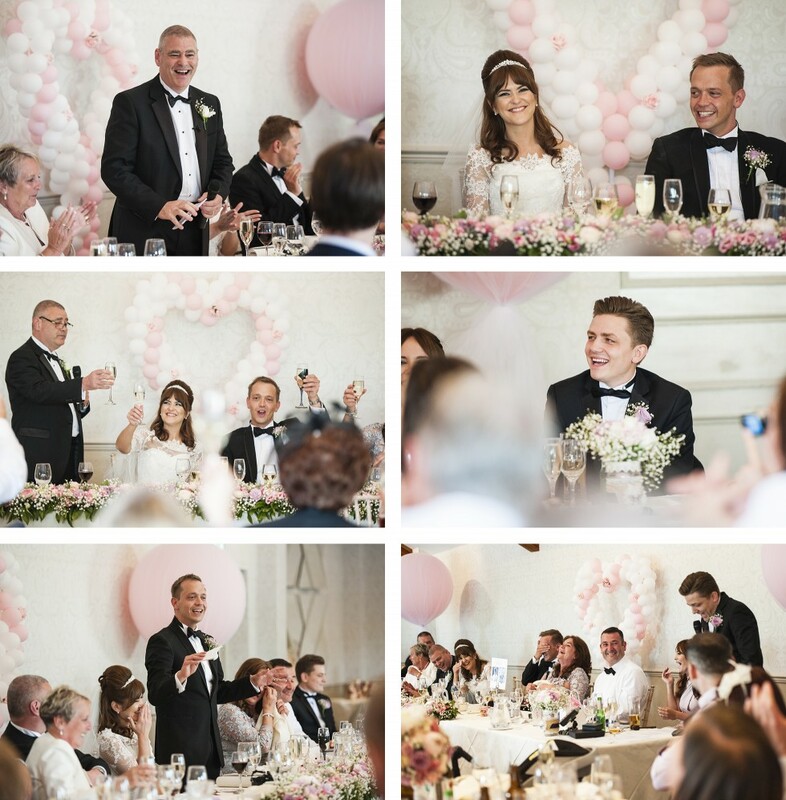 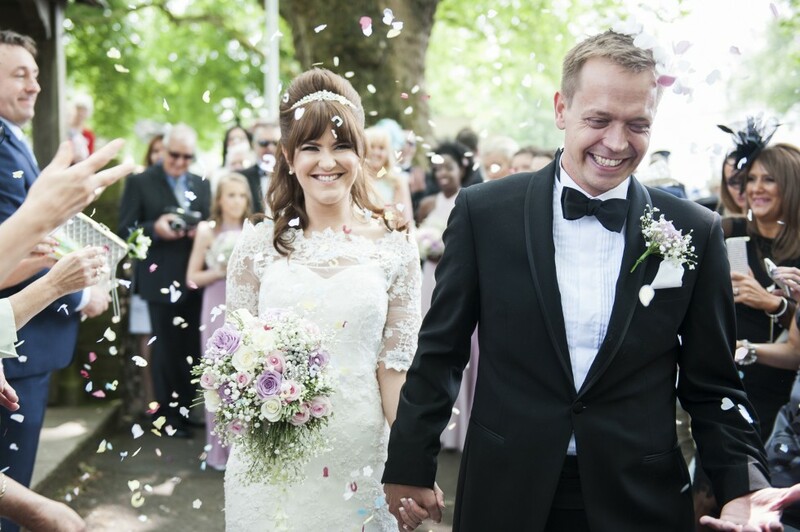 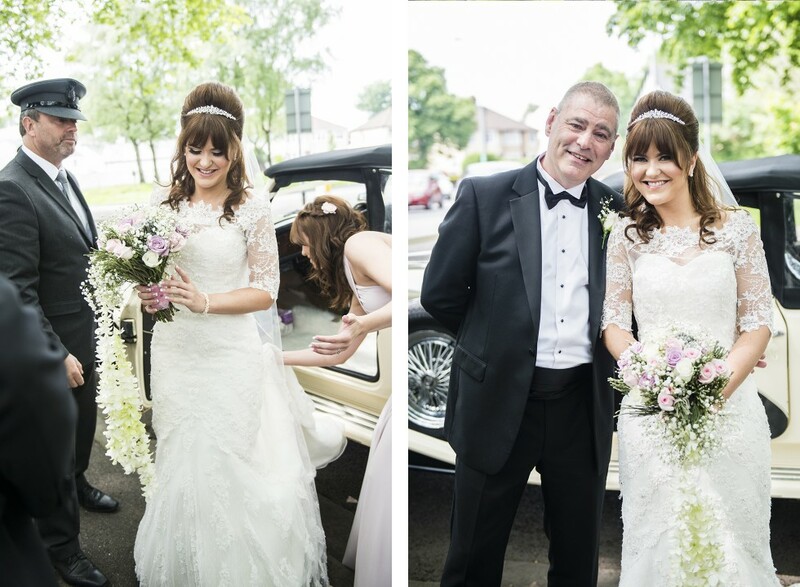 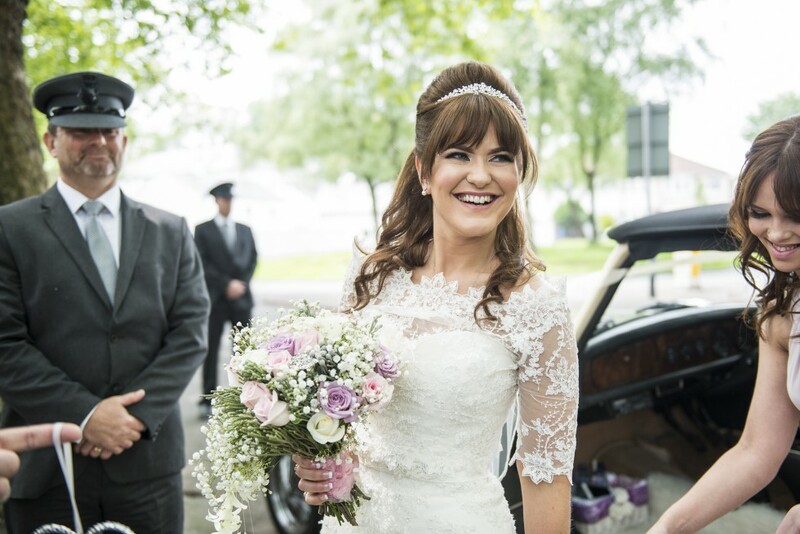 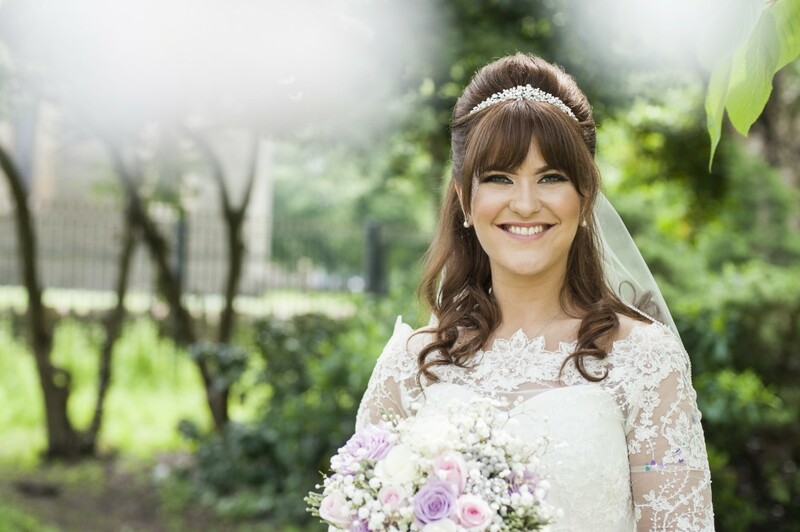 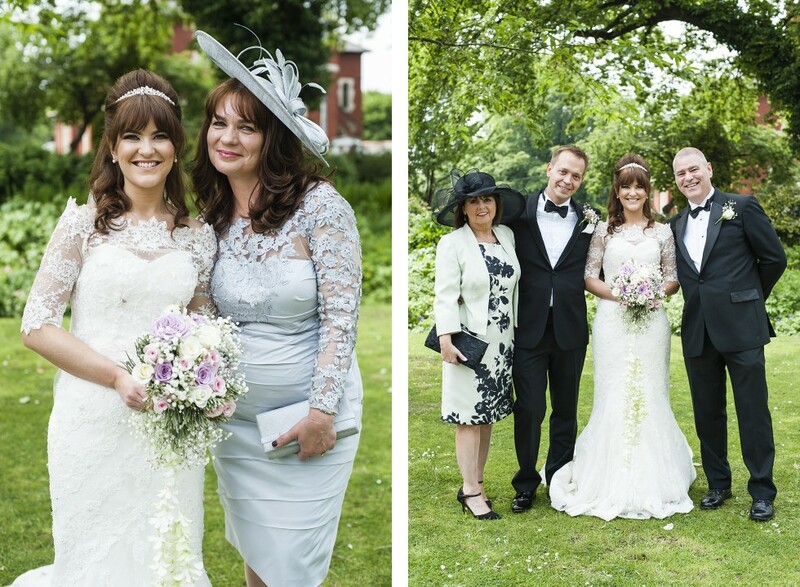 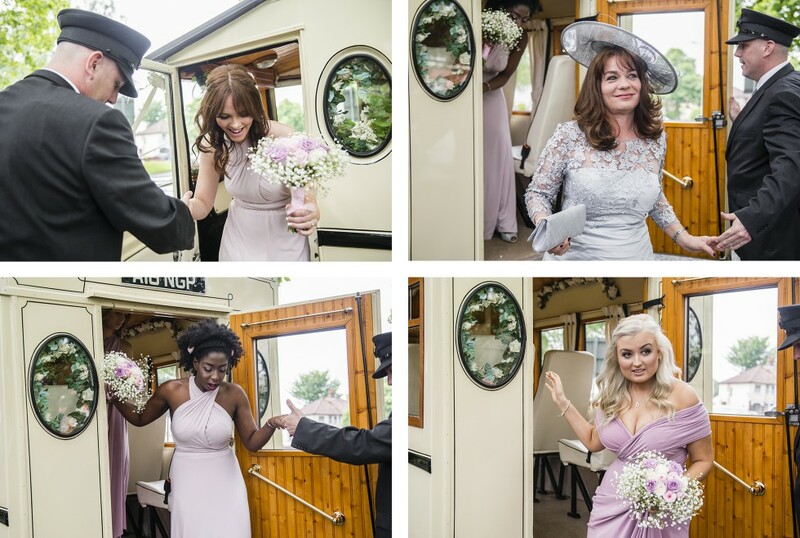 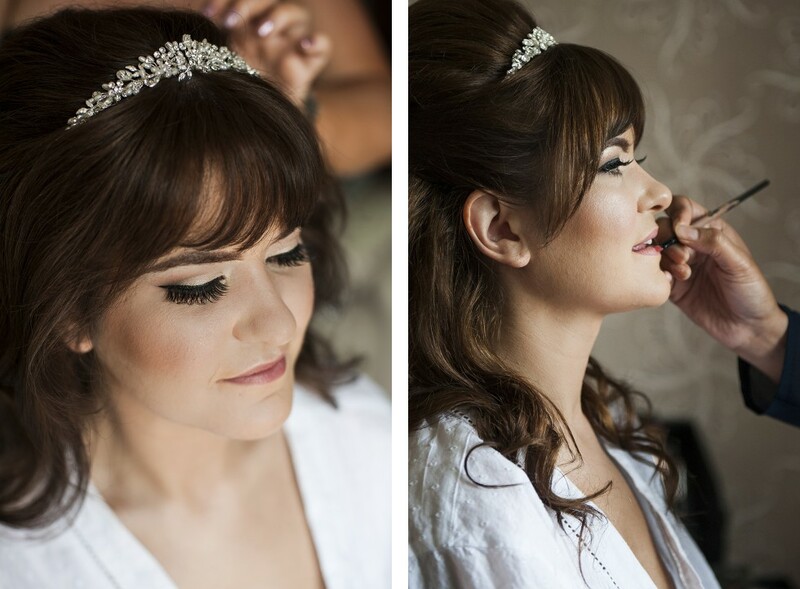 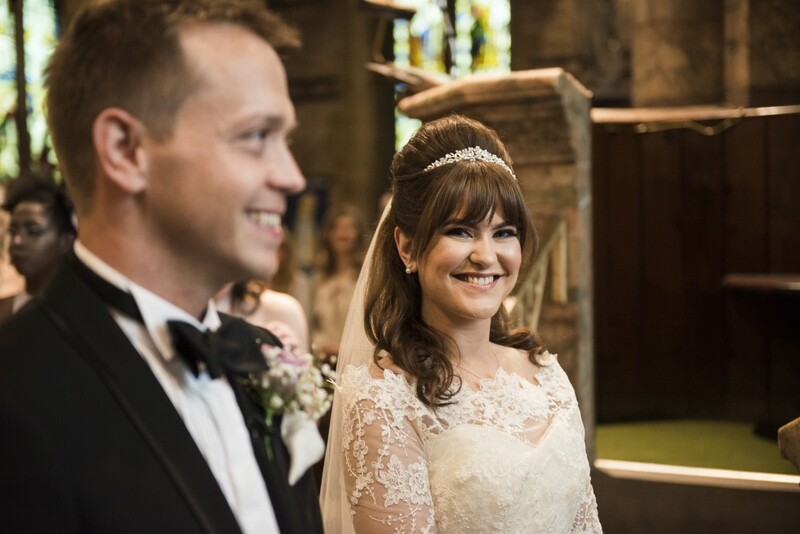 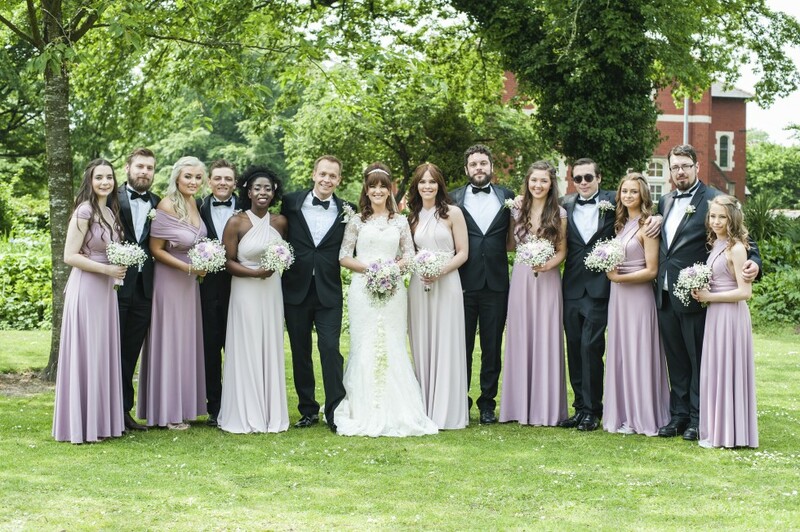 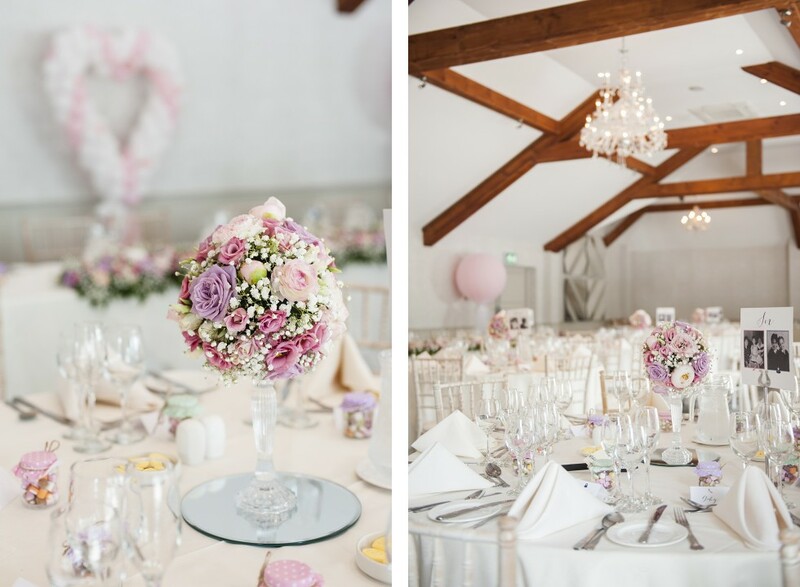 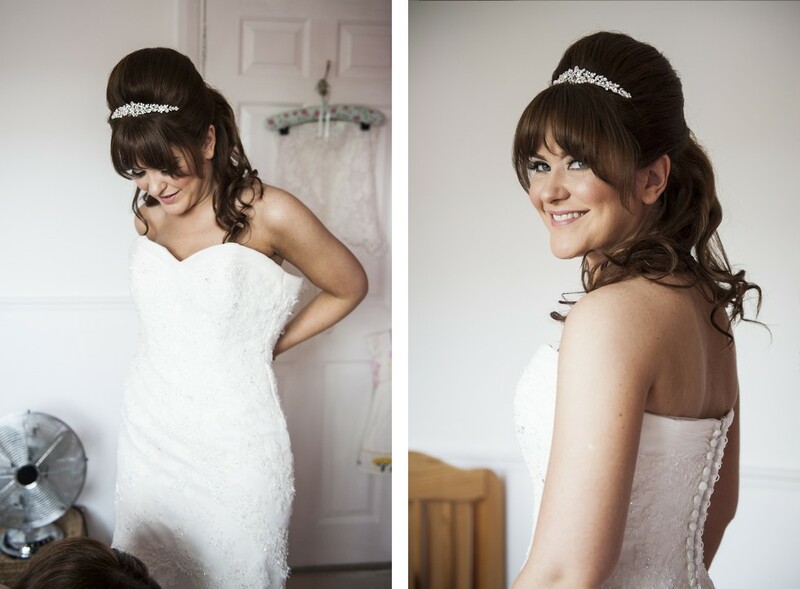 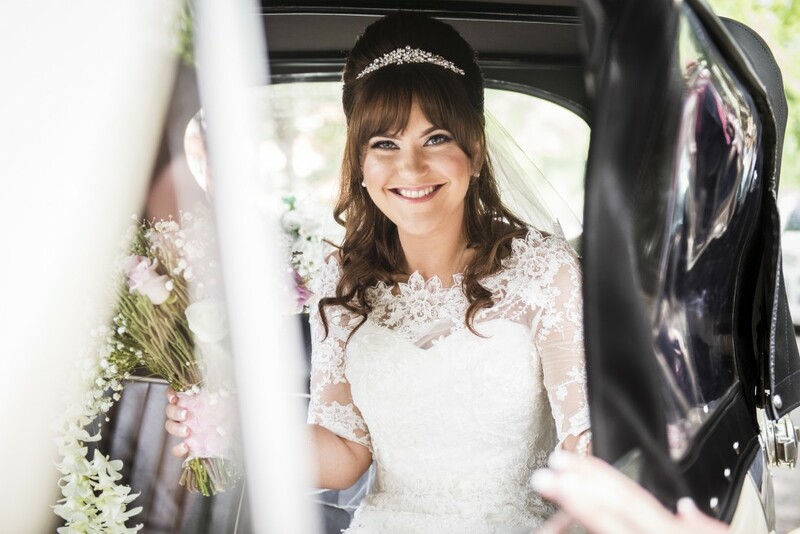 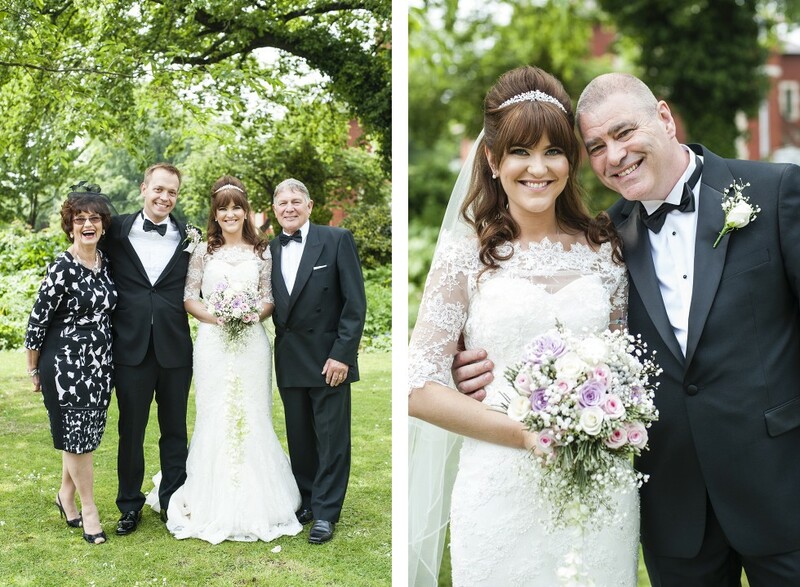 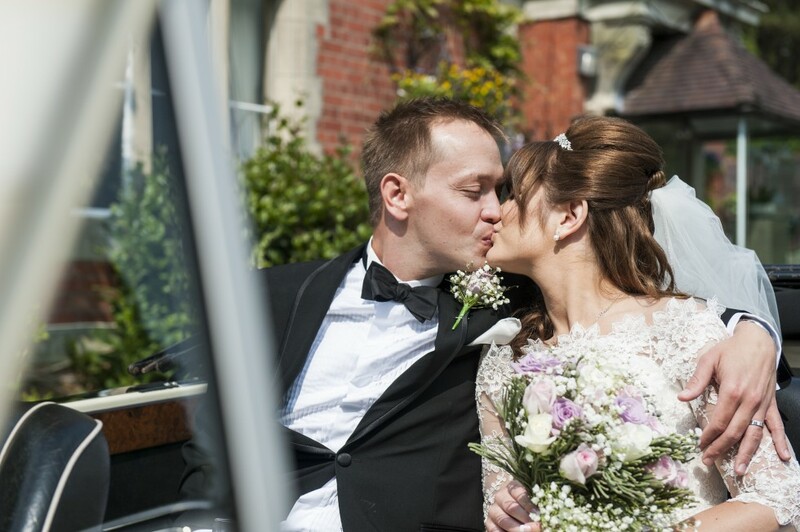 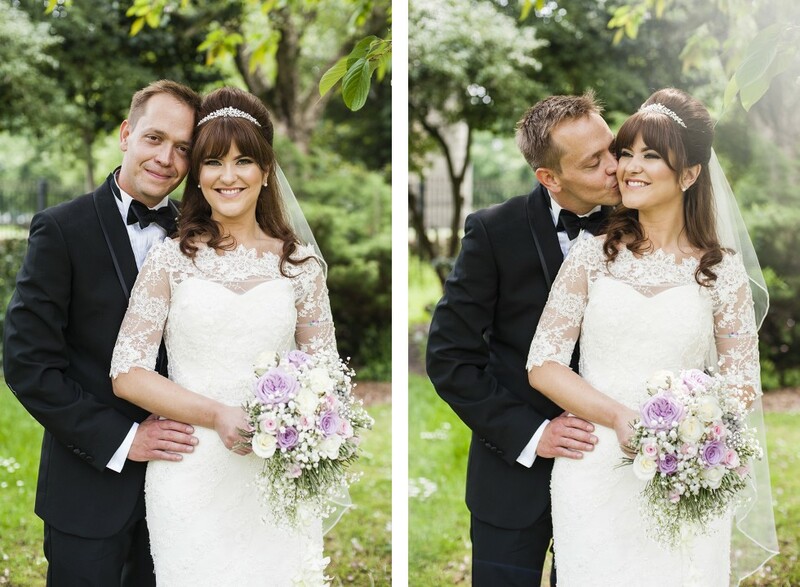 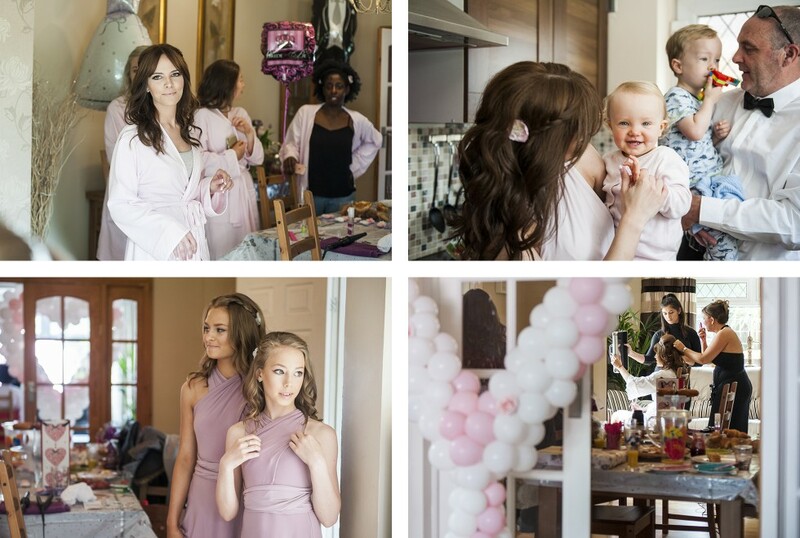 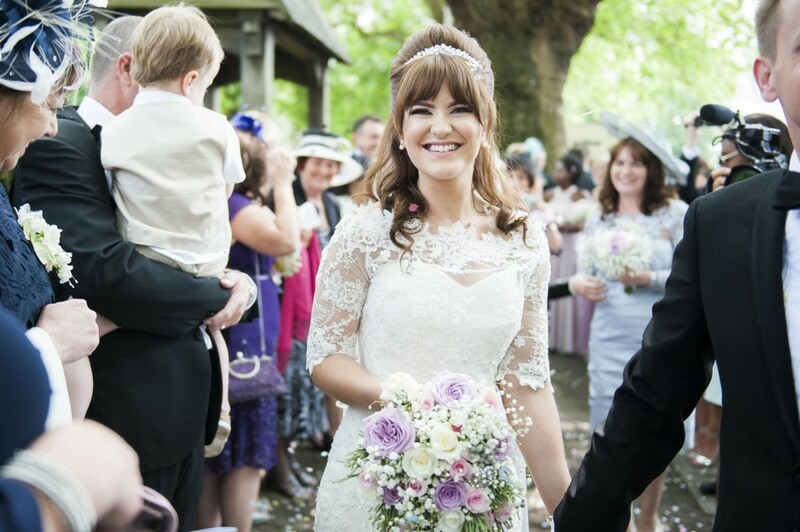 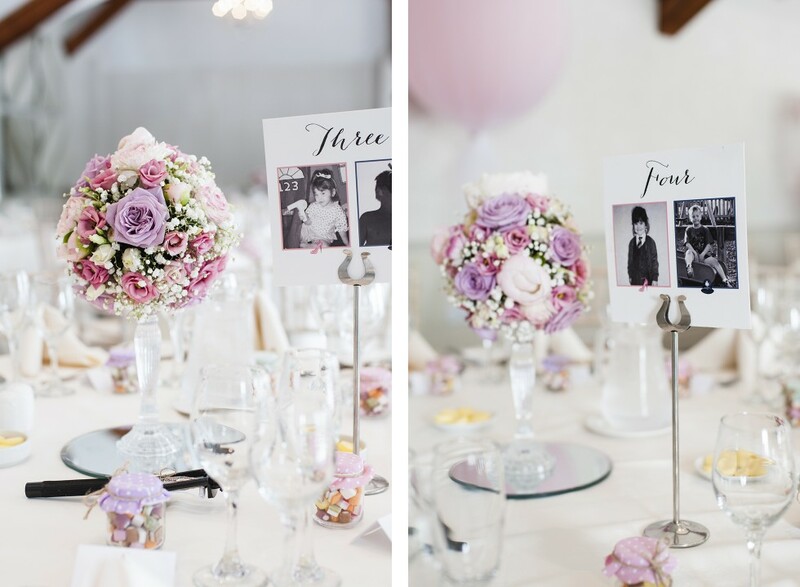 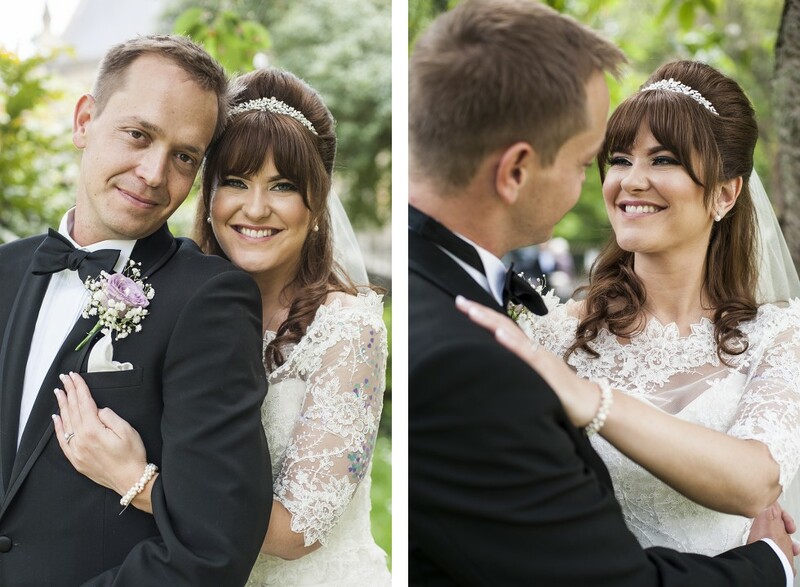 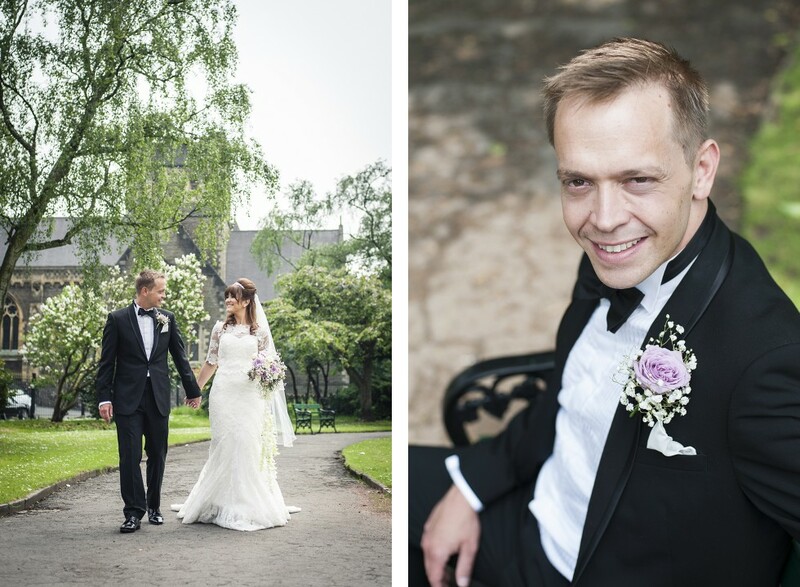 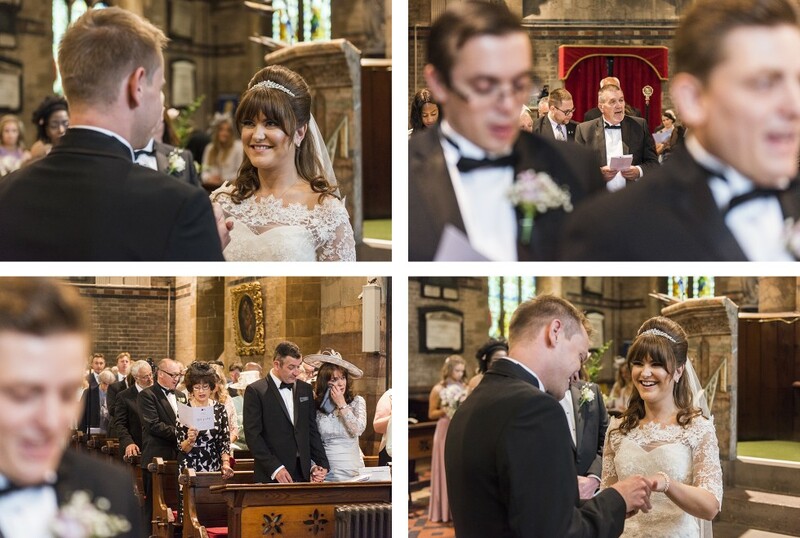 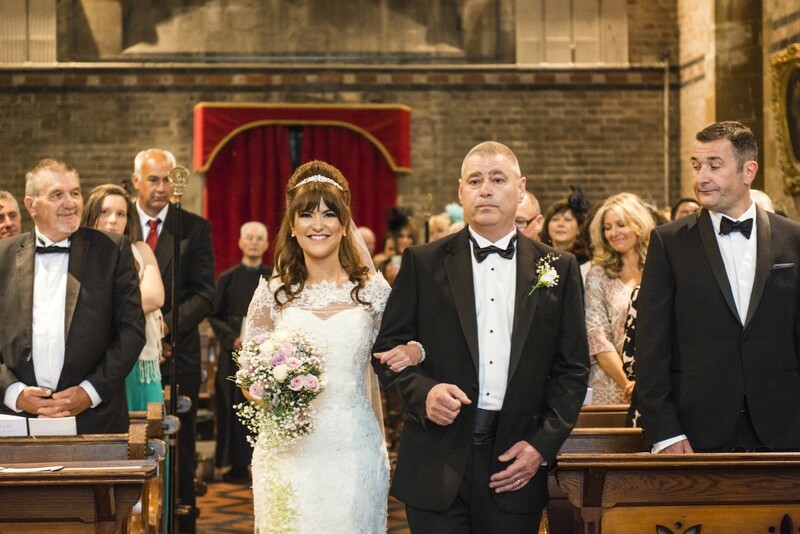 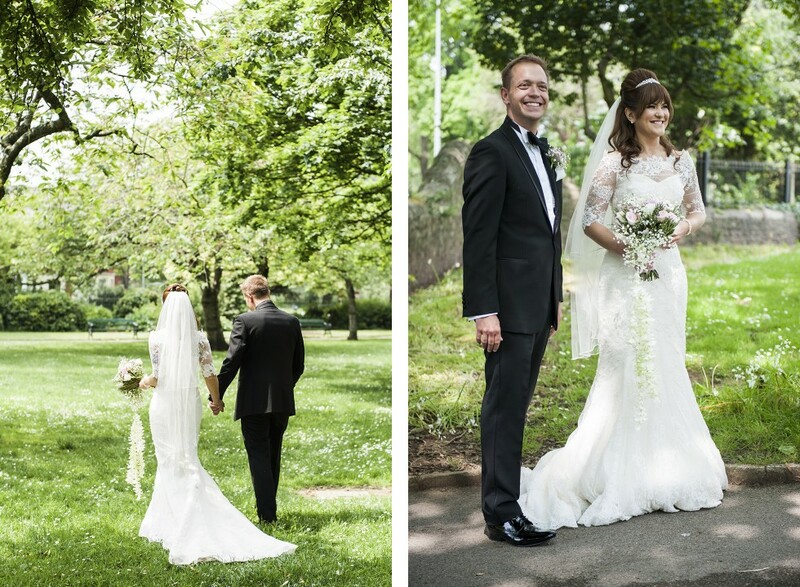 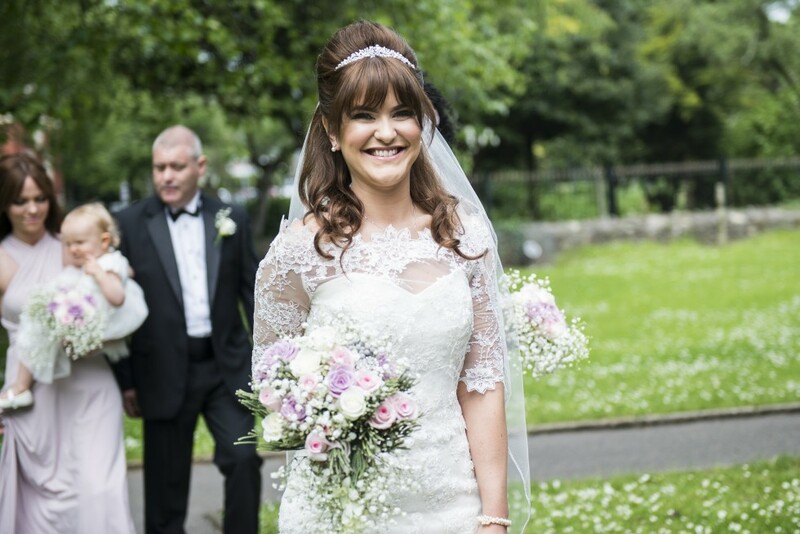 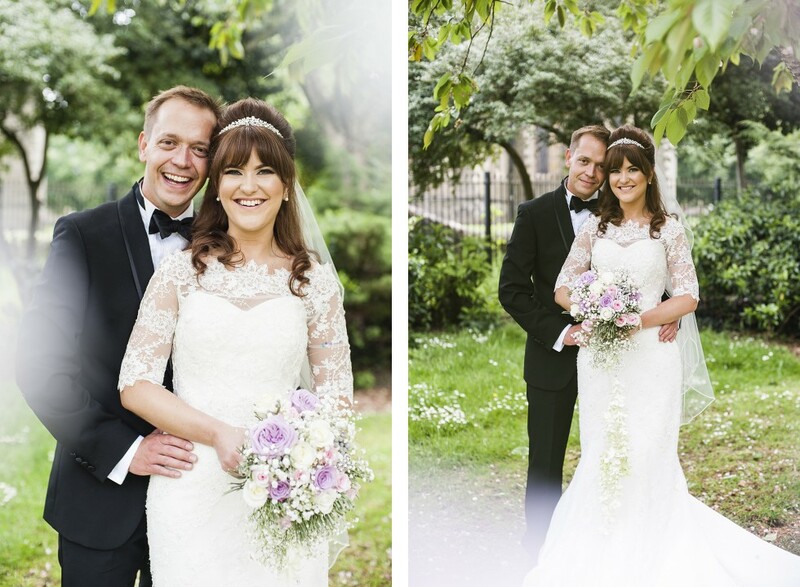 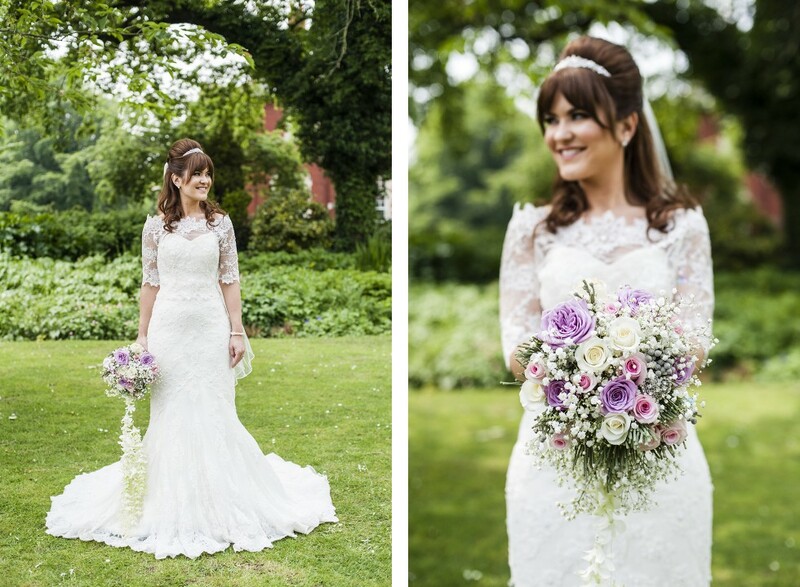 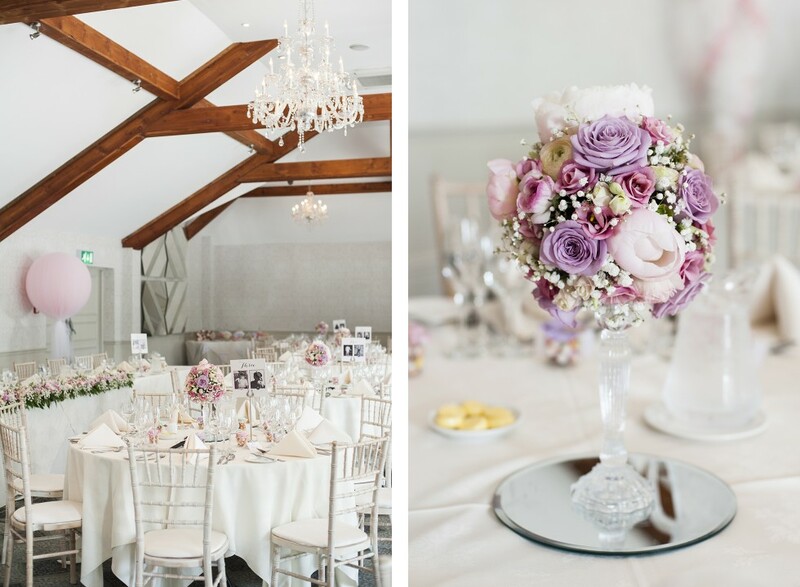 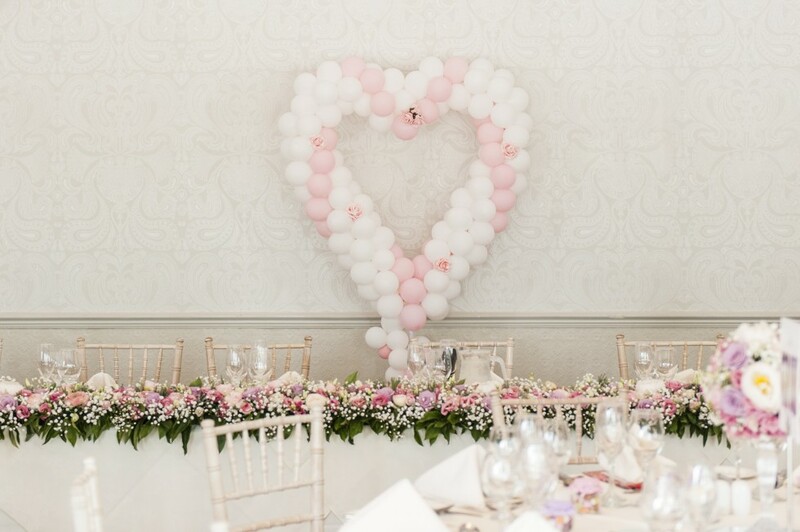 Vicky wore an Ellis Bridals gown with a lace bolero from All About Eve and carried a soft cream, blush and lilac bouquet made by a talented aunty – check out the trailing orchids! 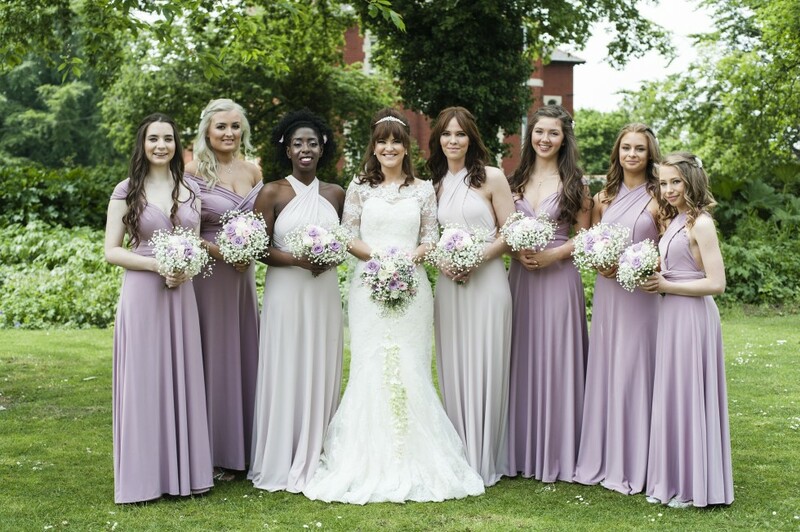 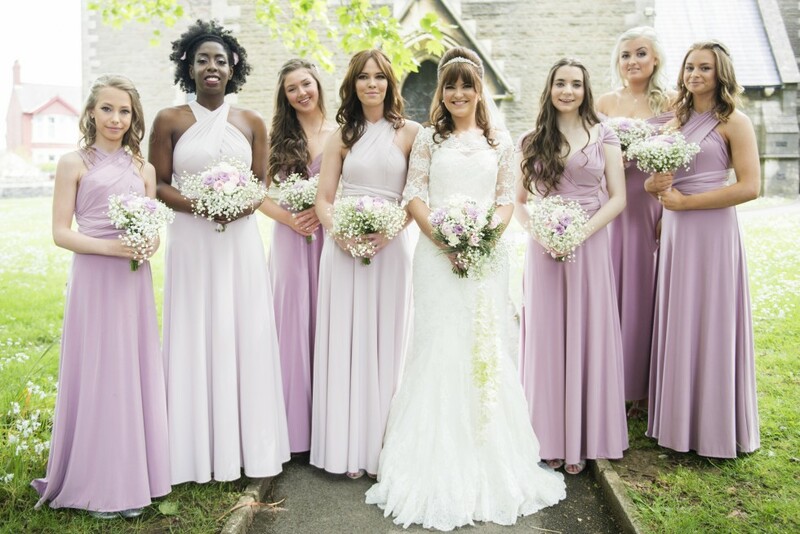 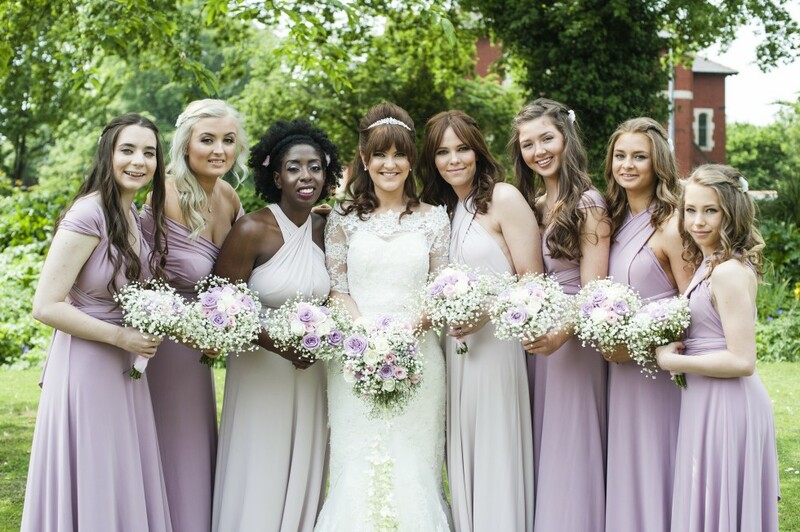 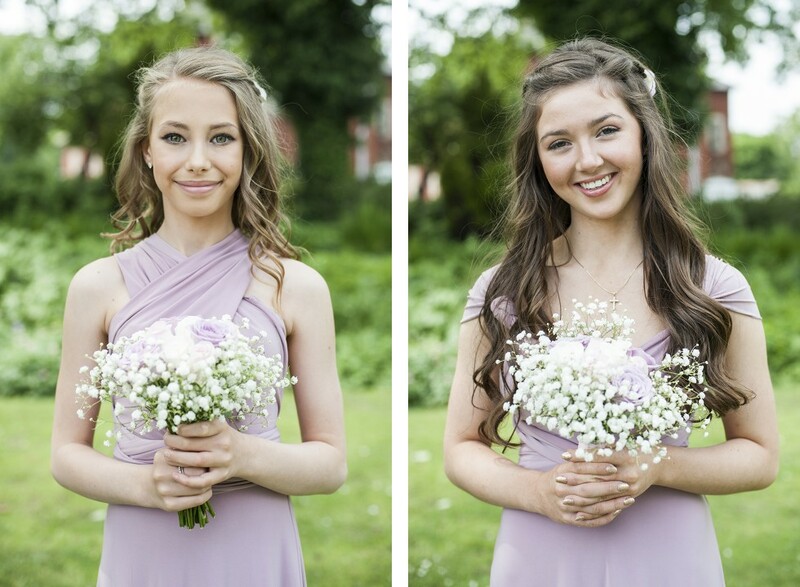 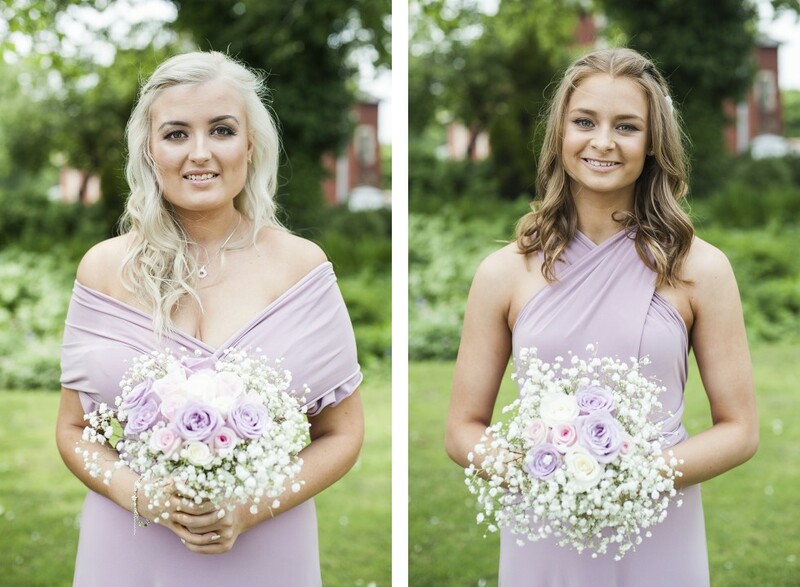 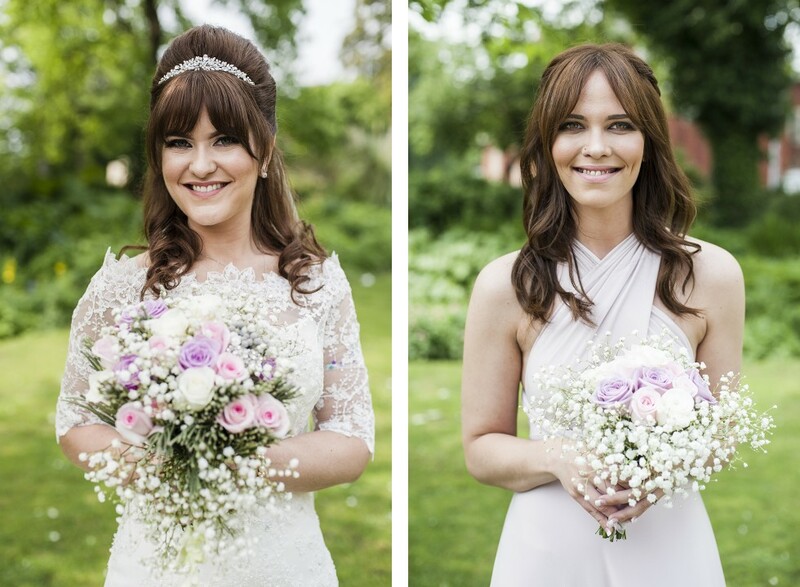 The bridesmaids wore a mix of pretty pastel dresses from Coast with matching mini bouquets of roses and gypsophila. 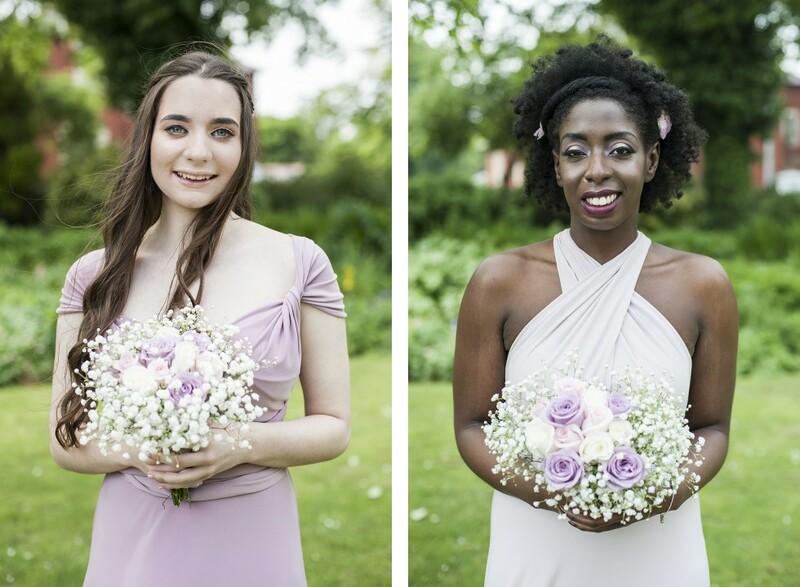 We made the most of the beautiful weather (& lighting!) 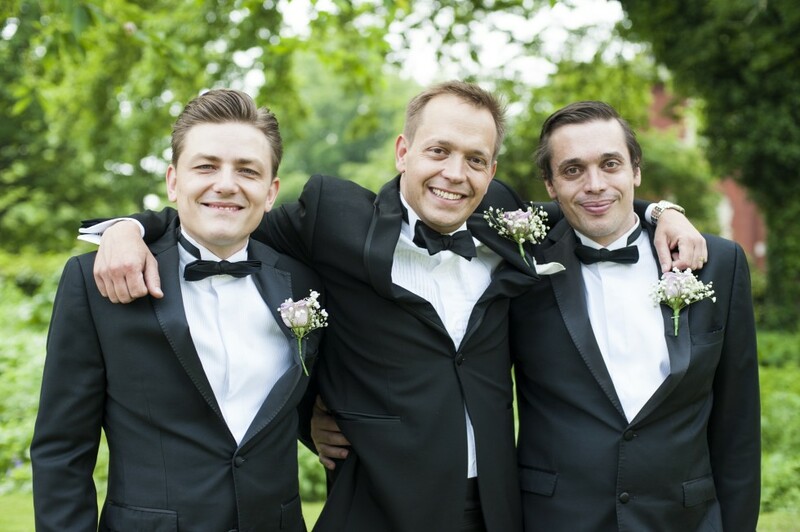 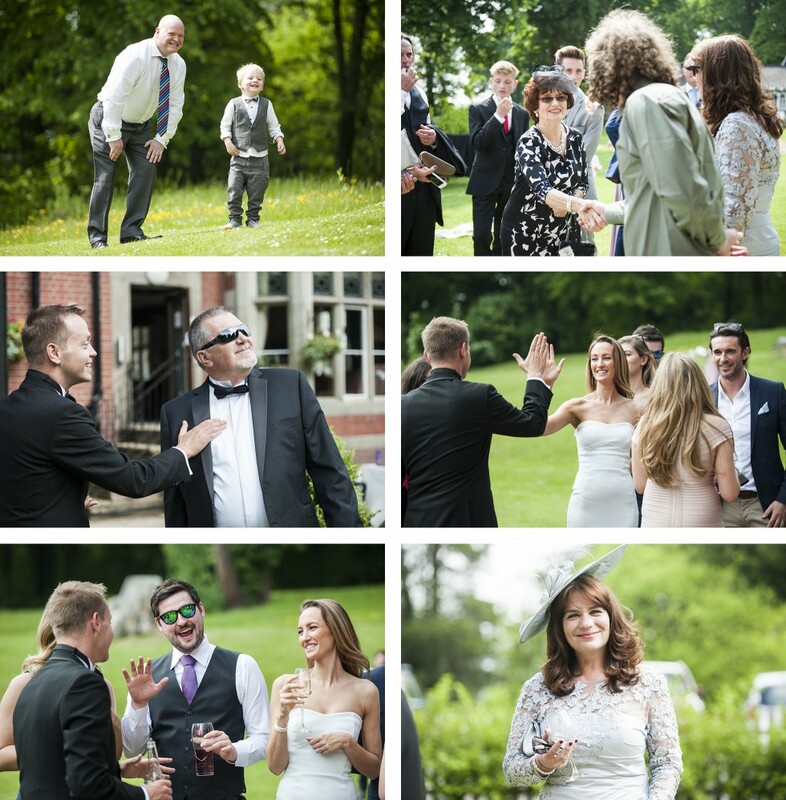 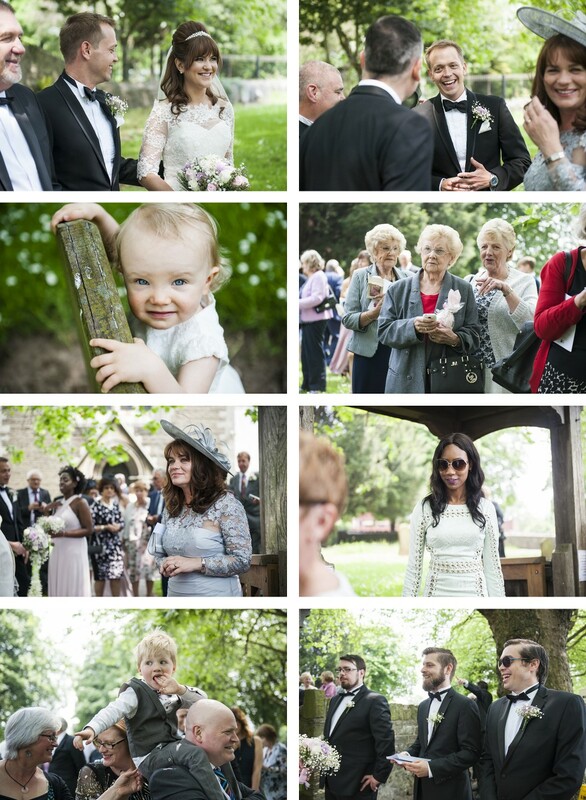 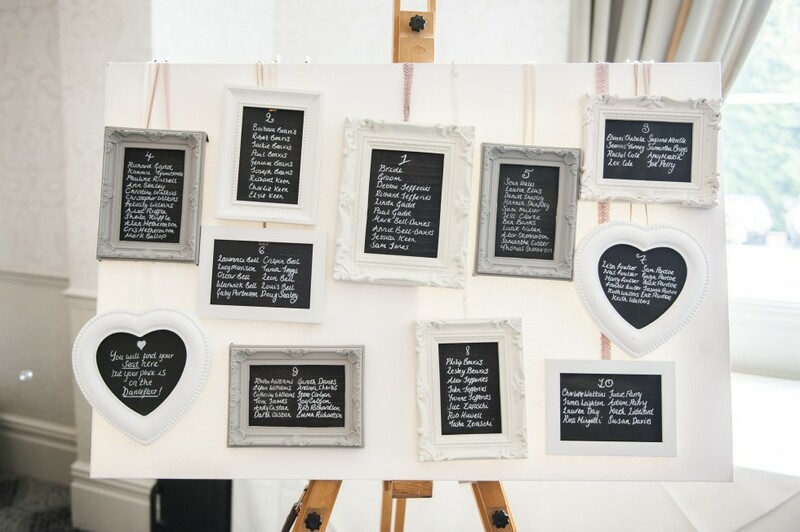 and took almost all their portrait shots at Waterloo Gardens before heading to the reception at the Coed y Mwstwr Hotel in Bridgend.